The Day He Wasn’t Neurotypical. all aches and shivers, I’m well. pale as paper -Wakeful and despairing, I’m peaceful. I am giddy with laughter. Brighter than mine, so vital. Straight to my arms, all thought bypassed. Every time-worn doubt or fear I’ve ever had is forgotten, dulled, diminished. New terrors draw close, so profound, only your joy can calm them. From the moment he was born, he changed everything. To know what it truly is to love another life more than yours is at the heart of being a parent. Two years and nine months after he first lit up my universe, my son’s nursery called to say they wanted to ‘discuss some concerns’. In August, we paid for a private clinical psychologist to assess him, after learning the wait for the NHS was four months. The psychologist’s diagnosis was autism. I have found it very hard to talk about this. For a long time, talking about it made it real. Concrete. Unchangeable. But talking, writing, crying – won’t change things. But maybe it will lead to acceptance, somehow. My son is sweet and loving and as obedient as you could expect a three year-old to be. But there are things so obviously not right. I didn’t notice them at first – I feel like I am accountable. Why didn’t I see? Why didn’t I notice earlier? He was just my gorgeous boy. So charming and so normal to me – but now I see them every second of every day, the things that separate him. He speaks well – more than well. Sometimes he sounds like an old man. But his language misses so much. He speaks without fully communicating. On Wednesday the 7th of October, he was fast-tracked to the NHS community paediatrician who deals with neurological and developmental issues with children. This is the first step to actually getting official help. I sobbed three times while we were all that office – the four of us: my family. In our bubble, my son is ‘normal’. In that room, he had a profound developmental disorder that may affect every aspect of his life forever. I agree with this report, says the paediatrician. The signs that he is not neurotypical are clear. Even from the moment he walked in this room, she says, she could tell. We can’t say it is high functioning at this stage, she says. He is too young to know how severely it might affect him. He flaps. He repeats. He holds his ears. He rocks. He can communicate wants and needs and facts. But he doesn’t express himself so well. He struggles to communicate with other children and most adults. He is almost silent at nursery. He can’t do things he should – climb stairs, take off shoes. Noises, smells, sights – all can be distressing to him. Sometimes it is impossible to know what might upset him, impossible to know what will make him feel as if his heart is breaking. Sometimes, he looks into my eyes. Sometimes he can’t. Outside the family, he can’t. He has had lots of tests – to rule associated syndromes out. 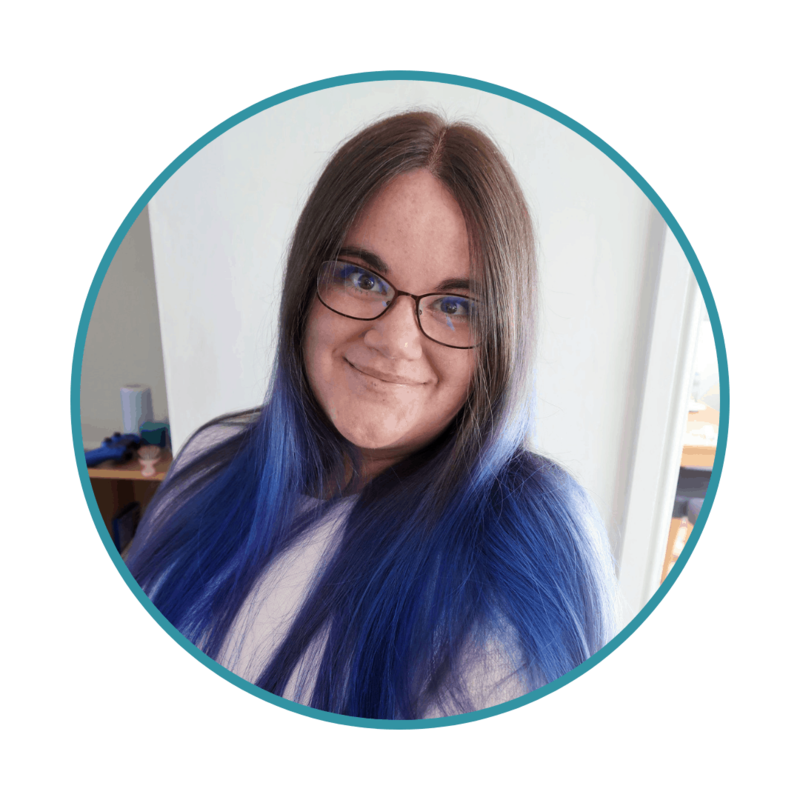 Terrifying things – fragile x, muscular dystrophy… the day that the results will arrive looms in front of me, a lump in my throat, a weight on my chest. Best ways, he doesn’t have them. Best ways – what? I don’t know. He grows up. Loves. Lives. Is happy. Worst ways? I shouldn’t think about it. I desperately don’t want to think about it. The possibilities flicker past my retinas, too awful to ignore, too terrifying to entertain properly. My son looks normal. Casual observers will just see a three-year-old. I hardly know what people will think. People will think I must be overacting, dwelling when I don’t need to be? He looks normal, acts normal. Three year olds are renowned for losing control over trivial things. It’s what they do. There’s no way to know what he will be. People will think he could grow out of it? It could be the mildest form, whatever that means? I am selfish. I am thinking of the ideal image of what I thought he would be, not what he is. He will have speech therapy and occupational therapy and all those blood tests. And that is good. It’s the right path to help him. I will do anything for him. I will fight for the best of everything. I will have unlimited patience, unlimited time to teach him, help him. I have my baby girl to love and help and care for too – and she must not lose out. But otherwise I will stretch myself to help him, as far as I possibly can, stretch myself to the far corners of that universe that he makes brighter. But I am so lost and terrified. And so guilty that feeling lost and terrified is a betrayal. Because he is, always will be, always has been, who he is. And that is….perfect. How could he ever, EVER be anything but perfect to me? But feeling devastated that he might not be what I thought, might not be able to experience the things I hoped, is something I cannot escape. People telling me he is normal enrages me. People telling me he is different, that it is obvious he is different, makes me sob. It is obvious. Too obvious to be high functioning? Diagnosed too easily, too early to be Asperger’s? I have reached out to other mothers in this position and they all say it took YEARS to get a diagnosis. Appointment after appointment, nagging professionals who don’t agree – their eight, nine, ten, eleven year-olds still can’t get straight answers from doctors. I can’t decide if it is a relief or cause for more worry. And I don’t know how to move on. How to feel ok. How to stop worrying about him not having a life, not being a ‘whole’ person, and just help him be the best person he can be. How do I do it? How? Please help. Please note, since this post was written we have come a long way. Please read ‘No Apologies’ for an update on my thoughts about autism and our journey. Darling, your son is absolutely a whole person. I remember taking a photo of our eldest with ASD when he was about 3.5 in a suit as we were going to s wedding. I thought he had the look of a prime minister about him. After his diagnosis I winced at the photo and thought, we’ll probably not. As he’s grown older I’ve discovered that he’d never want to be prime minister. Most things he ‘can’t do’ he doesn’t want to. Thank you sharing, I know that’s really hard. My son has cerebral palsy & was diagnosed quickly, again like you that was worrying as it can take ages. However, I look at the positives that he’ll get help sooner than others. He’s lucky he has physio, OT, speech therapy early rather than waiting. He’ll have extra help at nursery & school. He won’t be in a limbo struggling while we wait. It’s a good thing. I too think of what might have been, and what I hoped for him when I was pregnant & before. I feel guilty about it, but it’s normal. I don’t love him less because he has additional needs, or despite of them. I love him because he is my boy & he’ll always be that, no matter what he faces, no matter what happens. He’ll be William always & we’ll work together to help him. It’s really hard all the time & I’m not sure if it gets easier, he’s 2 & 3/4 now and there are always new things coming up that he struggles with. However, new things come up that he can do well & things he overcomes. I’m so proud of him every day. We love our children no matter what & we do what’s best, it’s all we can do. It’s the same for our children without these additional needs. They’ll need help with things, they’ll do things we didn’t necessarily see for them, struggle with things. It’s just different, we can still love them all. Thank you for sharing & don’t beat yourself up, your feelings are very valid & important. I’m so very glad that I found your blog and discovered it early on in its development too. You are giving me invaluable insight into how my friend who is in a similar situation might be feeling. It took me a while to get my post up and I can’t blame it on work! No time limits at all. Of course you’ll always worry. But dwelling on possible futures won’t change his actual future. One thing I’ve learned from reading about ASD constantly is people are not on some fixed point on the spectrum. Depending on the support they get, the environment they’re in, the people around them, the interests they have, the developments they make…children (and adults) on the spectrum can move around on the spectrum. Nothing is certain with an autistic child. Remember to be kind to yourself, too. Thanks. An interesting read. I am working on my husband let us get a dog as it happens! My boy, Adam was diagnosed when he was 3 1/2 years old. They started him on services right away and like you, I blamed myself. I never saw any signs. Some of the things he did that other children didn’t do I just thought was part of his unique personality. I never thought it would lead to Autism. But there it was and I had to deal with that. I worried too, for his future. I didn’t know anything about Autism at the time but I studied it, listened to the doctors and the teachers. I reached like you are doing. I learned everything I could about Autism and what I learned is that despite having Autism, my boy is who he is and to me, he’s perfect. He’s 14 now and in a few months he will start high school. When he first started school, he barely talked. We couldn’t have a normal conversation with him. He slapped his ears a lot and rocked back and forth. He lined up his toys and had a hard time looking anyone in the eye but he was affectionate to his family. He is incredible smart and friendly and funny. As a teenager, he doesn’t get that affectionate anymore and even though his speech has come so far, he prefers to text his thoughts to me and to his dad rather than speak. When he is asked to speak I can see his eyes wander as if he is trying to pull the right words out of his brain and out through his mouth. He still has a hard time interacting with his peers but from what his teachers tell me, his peers like him very much and I’ve seen first hand how patient they are with him when he gets stuck on a negative thought. Over the years I have learned to let my child teach me. We parents are more than willing to teach our children everything we know and that is also our responsibility but by allowing my child to teach me what he needs, I have been able to look beyond the Autism and what I have learned about Autism and have learned to see my son for the amazing human being he is. No matter what our children have, whether it be Autism, Cerebal Palsy, ADHD, or nothing at all, they are each unique individuals and we should celebrate them for who they are. I also agree with Lady Nym that it really depends on so many factors like the schools they attend, the supports they get, and the environment they are in. Unfortunately I have worked in school districts who aren’t as dedicated to helping special needs kids as my son’s school is. Every day I am so grateful for the amazing and dedicated teachers both of my boys have and the supports they get. I was really nervous about my son starting Middle School and while he has had some mishaps in the beginning of both 7th and 8th grade, he has been on the honor roll throughout his middle school career and I am so proud of him for that. As he gets older, I do worry more about his future because there are still many close minded people out there and that worries me but I also know my son has some really great gifts and I have to trust that he will have a great life. For as long as I live I will make sure of it. Anyway, sorry for the long comment. If you want to read some of my posts about my son, feel free. I’m diagnosed with Aspergers myself and now am able to function well (I’m currently doing a PhD in physics). However, I remember before my diagnosis at six though that it was very hard. I’m also dyspraxic and struggled at school to communicate my answers to teachers so was put in all the bottom groups and thought I was stupid. Getting diagnosed after becoming very down was one of the best things that happened to me. It not only opened up access to help but allowed me to understand why I couldn’t write properly or read other people’s expressions as well as the other children. Having it logically understandable made me feel so much better. The other thing which was essential was having a Mum who was willing to do anything to help me and get the support I needed, so no matter what the outcome I’m sure the amount that your post shows you care and you have already done will put your son in the best position he could be. Thank you so much for sharing. That really means a lot. This might come across weird, but no offence is intended and I hope I manage to explain this properly. I work for a charity and whenever we write something on, for example, Down’s syndrome, we are not allowed to use the word “suffers”, as in “is suffering from Down’s syndrome”. Because we don’t know if he/she is. A person with Down’s Syndrome has never been someone else or something else, has never met our idealised standard of “Normal”. Ask a person with Down’s syndrome if they suffer from being who they are. Do you suffer from being who you are? You just don’t know how to be anything else or feel different, you are who you are. Does Kim Kardashian suffer from being Kim Kardashian? She doesn’t know how to be our standard of normal, you know? A house, a dog, white picket fence. For her reality is different, realty that we will never probably be able to imagine. True, Down’s syndrome brings health issues, but all of us can “suffer” from health issues at one point or another. But if you look at the soul, when you hold your boy close to you, you can hear it: he is who he is, and he isn’t suffering from who he is. You said it yourself: he is happy. As a mum, I want my child to grow up and start a family, marry a decent person. But my child might choose to be a career driven person who will not want to get married. Or be gay, which I don’t have a problem with but I do want grandchildren. That’s my wish though, to have grandchildren. That’s what “normal” is to me. For my child though, who knows what normal will be? Yes, autism is not straight forward, but it’s on the rise, or at leastt diagnosed more frequently which means that our ability to live alongside seamlessly will be on the rise, too. if that makes sense. It is good he was diagnosed early and he gets help. I wasn’t divided till later, OK I’m higher spectrum but still it can be very lonely place where no one understands and my needs not meet. I totally empathise with your post, your worries and your fears. My daughter was diagnosed with “classic” autism at age 4.5 and it took a look of time to get used to, that she’s forever have this “label” and that – even though she hadn’t changes from day before diagnosis to day after – she would be perceived differently from then on. We had suspicions that her older by 18 months brother was also on the spectrum, but high functioning. We waited to make sure and yes, he was diagnosed at age 10.5. I have this little saying “focus on what they can do, not what they can’t”, it doesn’t stop me worrying but it doesn’t focus me on that moment. I can’t offer any advice on this as I have no experience in this area, but one thing I can share is to say, who defines normal? Don’t worry about being normal. As long as your boy is happy and loved that’s all that matters. I hope the road ahead isn’t too challenging for you. This is a beautiful post – I can’t offer any advice or words of wisdom I’m afraid but everyone’s “normal” is different. As parents we can only do our best. I hope you manage to find the answers and help you are looking for. Your beautiful son was born autistic. It’s his ‘normal’. My son was diagnosed at 4 and he loves his life, despite the challenges it brings. He’s perfect as far as I am concerned. Don’t grieve for what will never be. Instead try and look forward to what CAN be. Try not to worry too much about things not being as you imagined as you never know what the future holds. I worried so much when my son was finally diagnosed at age 10 – thinking he’d never have a job, friends, a home of his own. Now he has a drivers licence, lots of friends and has moved away to Uni. 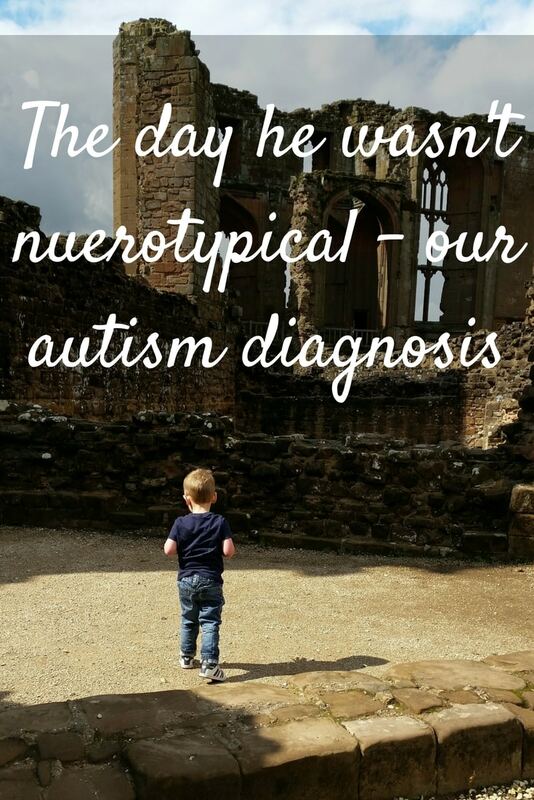 I felt very identified with your posts, you describe (beautifully) what I felt when my son was diagnosed with ASD at age 4. Also your post describing stimming resonated with me fully. My son (first born also, have had a little girl since) was, and is, everything to me. The whole universe. Perfection without a shadow of a doubt. And to feel those feelings you describe is totally natural, they come from your heart, from the fear for him missing out. Not a fear for you, you have him, you are ok. It’s a fear that he won’t live a full life. I also have that fear. I also have a young son with autism – he’s 5. He was diagnosed at 2 years 5 months, and once we got into the MDA system, it was vey fast, and unequivocal. He was a very clear-cut case. 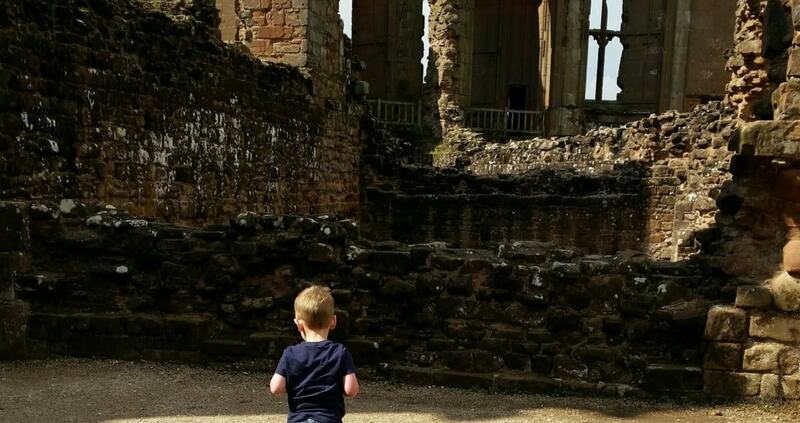 At the time, I remember feeling the angst you’re going through – if they diagnose so young, so certainly, can it possibly be ‘high functioning’ autism he has? Could there be a remote chance he has Aspergers/HF ASD if they can ‘see’ his autism so clearly, so early on? They wouldn’t even discuss a ‘functioning’ level with us at the time, and nobody since has ventured an opinion, which is frustrating, although I gather that this is now policy, and that children can be less or more affected by their autism at different points in their lifetimes. We have eventually concluded, ourselves, that he is ‘medium-to-severely’ affected by ASD – he is all but non-verbal, he has frequent frustrated or terrified meltdowns, he remains largely uninterested in communicating with other people (unless he really wants a treat like sweets or chocolate). However. Back to your uncertainty that it might be a bad thing, or a good thing, that your child was ‘clearly’ autistic to the experts who diagnosed him. It is a good thing. I’m sure of it. I’ve watched friends and other local parents struggling to get provision for their higher functioning child, or even a diagnosis. They are constantly pushed back, told their child isn’t ticking enough of the right boxes to even get them a paed appointment to discuss an MDA. To me, now more attuned to ASD and the many ways it can manifest itself, I can often see the reasons the parents are convinced their child’s on the spectrum, and it’s appalling that they’re not able to access better provision and support. They may eventually get a diagnosis for their child – at age 8, 9 or 10. By then, they may well have been through hell. Sometimes I think it’s the silver lining in my son’s diagnosis for a condition I’m absolutely sure will affect him all his life and mean he’s dependent on other people all his life – that it’s clear-cut and severe enough that he does have provision. We got a diagnosis quickly. We had a Statement and now have an EHCP. While we opted (I wish we hadn’t) to put him into mainstream school for Foundation, I’m fairly sure we’ll be able to pass the panels we’re now facing, to move him from mainstream to special school, where I’m sure he’ll thrive because of the expertise and experience – and compassion – of the staff there. Your son isn’t autism. He’s himself. It’s taken me a long time to get my head around that, about my own son. He’s affectionate and cuddly, he gives us kisses, he giggles and laughs at conventional things and very unconventional things. Autism affects his behaviour and the way in which he experiences the world, and the very way in which he processes the world inside his head. But I’m quite sure that if I had another autistic child, that child would be very different, because children are all different and their different personalities come into play. Our seven year old grandson was diagnosed at five – because school were having problems and referred him to psychiatric services. We’re really glad they did because now he has an EHCP and gets support which is funded as a matter of course, and his mother (my daughter) has access to support groups and information. Our gorgeous boy is briliant at home. Looking back we can recognise things that should have made us suspect but hindsight is a wonderful thing! He is academically about three or four years ahead of his peer group and socially about three or four years behind. Our main problems nowadays come from teachers or other school staff who misunderstand – because they haven’t had adequate training. One thing that will affect you is that you will have to be constantly alert to the behaviour of e.g. school staff and ready to step in and explain things. Autism has been badly served in this respect and things are only just beginning to change. If you want to get a wider picture of the historical perspective and some explanations of why things are like this, try to get hold of NeuroTribes by Steven Spielman – a really good book that broadens the reader’s knowledge not only of autism but of the way it has been researched and presented. Your lovely son is lucky to have a loving family that is capable of guiding him to a fulfilling future. You will enjoy the journey with him – there will be moments of despair (mostly due to ‘the system’) but for the most part you will have all the pleasures most parents experience. And you will end up with an adult son you can be proud of. We, and other families with autistic children, are sharing that journey with you. I know you posted this blog over a month ago now, and I’m not sure if you’ll even see my comment but I feel compelled to respond and give you hope that your son still has a future. I am autistic. I wasn’t diagnosed until three days after my seventeenth birthday and pretty much every professional voiced their disgust that it hadn’t been picked up earlier because it was a pretty clear-cut case, apparently. Of course, there are things which make living with autism difficult. I struggled immensely before my diagnosis, when I knew the problems I was having were on a different level for my peers but didn’t have a reason /why/, but I am now thriving in a mainstream college with my neurotypical peers with accommodations in place in order to make sure that it stays that way. I am currently enrolled in a course which I love with the plan of heading to university in two and a half years to pursue a career in psychology — something which just so happens to be a special interest of mine (pro of being autistic, I think). I understand that not every autistic person will have special interests which revolve around learning things in a classroom (mine are certainly more focused on self-taught activities, I must admit) but every autistic person succeeds in their own way. My older brother, eighteen, is also autistic and hasn’t been in education since he was twelve years old, yet he has a social life I am envious of and has been able to drive a moped since he was sixteen. He is currently out of work but with the support of enablers and other people from the adult team, he is getting there and learning to live a more independent life. Sorry that this comment is so long, I tend to ramble slightly when I talk about autism. Sorry. I am finding it really hard to write a reply to this, because everything that I start to write either sounds patronising or wrong. The fact is that I have no experience of this, and I don’t know what the right thing to say is. I don’t want to say that I am sorry, because he is your son and I do not feel sorry for him being your son, but I feel sorry for your situation. I am certain, from reading your beautiful words, that you are absolutely the best person for your son to have in his life, to help him through all the tests and appointments, so all I can say is keep being you. Thank you so much for sharing your experiences. We are just going through the process with our 5 year old and everything is moving much more quickly than I thought and like you I’m torn between being pleased that she is going to get the support she needs sooner and being terrified that if it is so obvious to everyone it means she is going to struggle more in life. I also keep thinking that I should have known,m; I should’ve got her help sooner. I too thought I knew lots about autism but I realise I’m going to have to learn a lot more. I also know I wouldn’t change her for the world. I adore her and without her quirks, those things that apparently indicate she is ASD, she wouldn’t be our daughter. Wow thank you for writing this…. This is me today having just been told a few days ago about my 2 year old daughter. I feel lost, guilty, confused, proud of such a loving girl, adamant that she will be all that she can be and yet I still feel lost. I understand it’s only the beginning for us as a family, a journey to a whole new world. I guess once we receive the definitive confirmation and the doors open I’ll learn to understand more but for now I feel lost. Look foward to reading all your amazing blogs – as you can see I’ve started from the beginning.